7th February 2017 - Submissions for the SEUCK Compo is now CLOSED! It has been a long competition, and now it is now announced that the deadline for SEUCK Compo submissions have expired. The submissions have now drawn to a close. A total number of 9 entries took part in this year's compo. If you haven't finished or submitted your entry for the SEUCK Compo, then I'm sorry, but it is too late. I want to say a huge thank you to all entrants who participated in the 2016/12 SEUCK Compo. We'll be doing it all again in 2018, but without the category section this time round. Voting starts NOW. Once again, a huge thank you to all entrants. Another entry makes its way to the MOD SQUAD category for the SEUCK Compo. 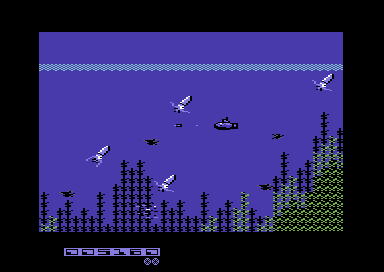 This time it is a horizontal scrolling SEUCK underwater shoot 'em up, written by Igor Errazkin. 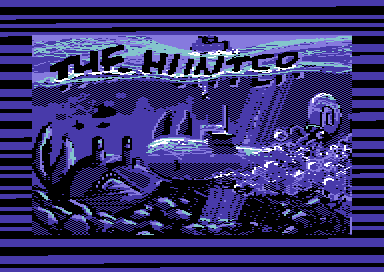 In The Hunt, you take control of a submarine, which must go into the abyss and battle against mutant creatures (which got drugged by a spy trawler) and collect spinning coins for bonus points. Watch out for the giant mutant creatures, and end of stage bosses. One hit, and say bye, bye to one of your submarines. There's also some funny jokes implemented in this fun shoot 'em up. Have fun playing this funny game. Due to the really busy period, coming towards Christmas in real life. I have decided to bring the submission deadline for the SEUCK compo forward to 31st January 2017. That is another 2 months added to the deadline. It is unfortunately that time of year I really hate the most - constant overtime! Yesterday, I mentioned that F-Clash64 was pulled out of the compo, due to it being unfinished. It was also a fault of mine as well, as I uploaded the compo entry too soon. Anyway, here's the final version of F-Clash, brought to you by Canseco, as a full and final production. Battle your way through 2 different wars. A war across the City, then across the ocean. Good luck commander. The game compo entry 'F-Clash 64' has been pulled out of the competition, due to the fact the game was unfinished, and the author wanted to finish the game off. This means that soon, a new version of the game will be released into the compo. Hopefully this weekend. A brand new entry from a brand new participant. 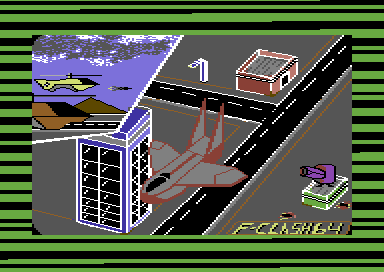 Canseco delivers a horizontal scrolling shoot 'em up, called F-Clash 64. 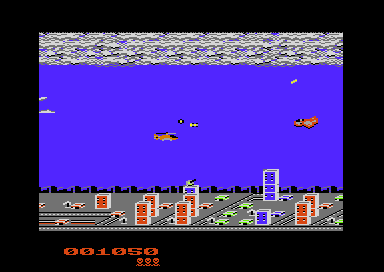 In which you control a plane, battling against enemy forces by air, ground, above buildings or sea. You have to battle hard in order to complete your mission successfully. This is a really colourful game. It also features an action packed loader tune, and also title music. May you fight and save the world bravely. A forth SEUCK compo entry has now taken place, by the way of 1917. A little joke creation, which was inspired by the year 1917. This game isn't to be taken too seriously and has not been made to offend anyone. The whole world is ruled by imperial capitalists, exploiting workers and peasants. Oh! poor workers and peasants! You’re the power of the world, but rich men don’t appreciate you! There is one brave person who wants to change this misery – Vladimir Ilyich Lenin! Workers, peasants, comrades! Let the Revolution to begin, let the Red Power to win the dominion stolen by capitalists. The first in the 'Back to Basics' category is 'Matador '16', written by Errazking, using Jon Well's Sideways Scrolling SEUCK. 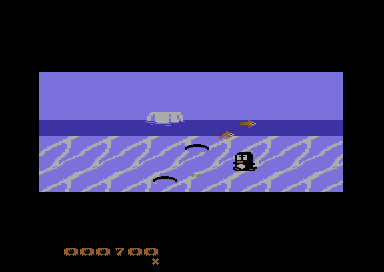 Unlike many shoot 'em ups and SEUCK games. This game is completely different. 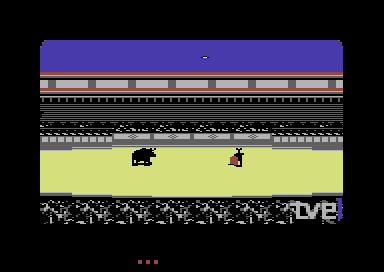 You play a haplesss and terrified matador, who has been thrown into the area, to fight against the bulls. The footage is being recorded by TVE1, back in the 1980's. This game consists of plenty of surprise in which made me laugh, while I was playing this game. I love the gags. This game gracefully qualifiess as an entry for the compo. 1st April 2016 - SEUCK Compo 2016 has now begun. This is official news. Not an April fool joke either, considering that this update has been uploaded after 12:00pm ;). The New Dimension is very pleased to present you yet another SEUCK Game Dev Compo, in which you can use either SEUCK, or Sideways SEUCK, and even enhance your game more, if you want to. Yes, that's right. You or a group can now ENHANCE your SEUCK creation, with new front ends, in game enhancements (from SEUCK School or other tips). There are fresh categories, and there's even a first entry for the compo as well. This is the first entry for the SEUCK Compo 2016. 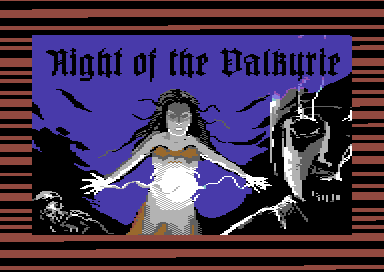 It is a game, based in World War 2, Transylvania, where you play a Valkyrie, who is on a quest to find her beloved boyfriend, who is hiding from the Panzer division. She has to battle her way through different acts, in order to reach her goal. Eleanor has added a series of clever tricks to this game, which makes a great start to this year's competition.